Form Us With Love is an international design studio based in Stockholm, Sweden. The principals of Form Us With Love, Jonas Pettersson and John Löfgren established a Building Materials Company, BAUX and the founding principle of BAUX is that building materials should be surprisingly functional and remarkably beautiful. 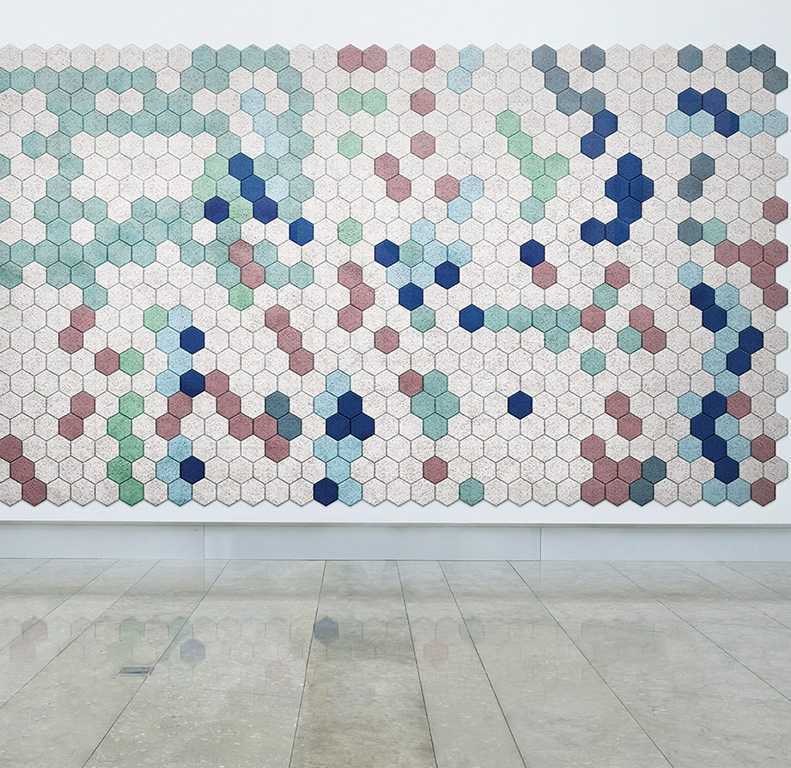 Their first product BAUX Tiles were created in conjunction with Träullit, a Swedish family business founded in 1946 by Lennart Rääf and which is today headed by his son Bengt Rääf. The product material was first developed in the 1940s and is a basic formula of wood fibre and cement which has excellent thermal and acoustic insulation qualities and is also fire and moisture resistant. The material is commonly referred to as wood wool. The geometric, multi-coloured Baux tiles are designed for wall and ceiling cladding and can be configured as geometric murals.